For over 30 years, Zymol has proudly created a range of high-quality car care products that have gained a loyal following across the globe. Appealing to detailers of all skill levels, the Zymol product line offers dependable and effective solutions for automotive surface care. From routine maintenance washes, to high-grade carnauba waxes, Zymol gives you the tools you need to clean, protect, and beautify your vehicle. 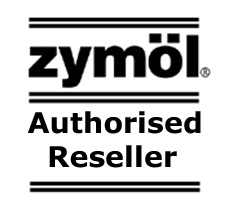 While nearly everyone with an interest in detailing has used, or at least heard of, Zymol Auto Wash � an industry standard � the Zymol line reaches far beyond the basics. Offering fine leather cleaner, fine leather conditioner, quick detailer spray, and a variety of paste waxes, among other products, Zymol can help you keep your vehicle looking like new from top to bottom! Find out what other detailers are talking about when you try Zymol!